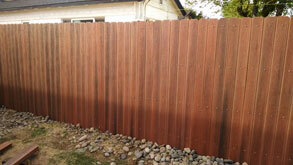 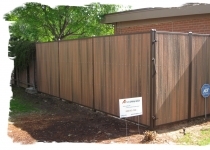 Choose from several different designs the no maintainance compostie wood fence retains its color for many years. 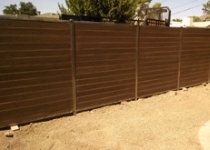 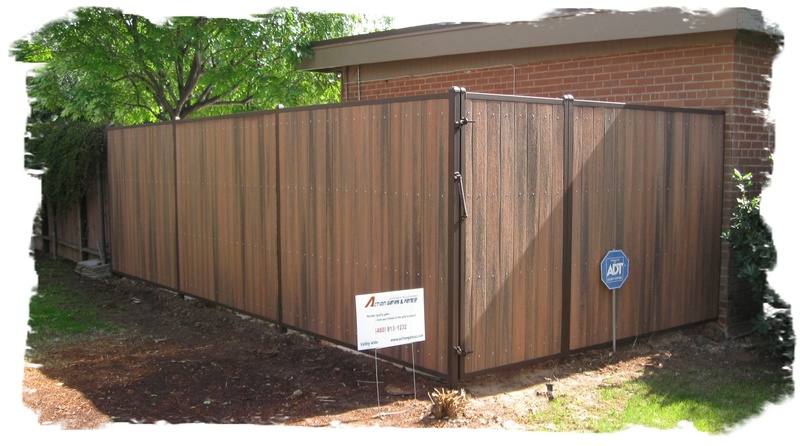 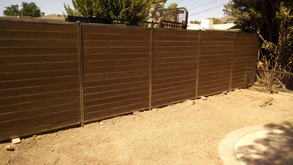 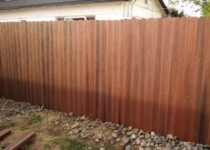 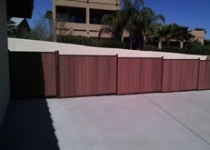 The composite wood fence can be horozonally placed or vertical. 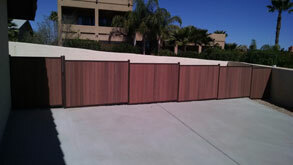 The heavy duty steel powdered coated frame can be a picture frame style or hidden from view.